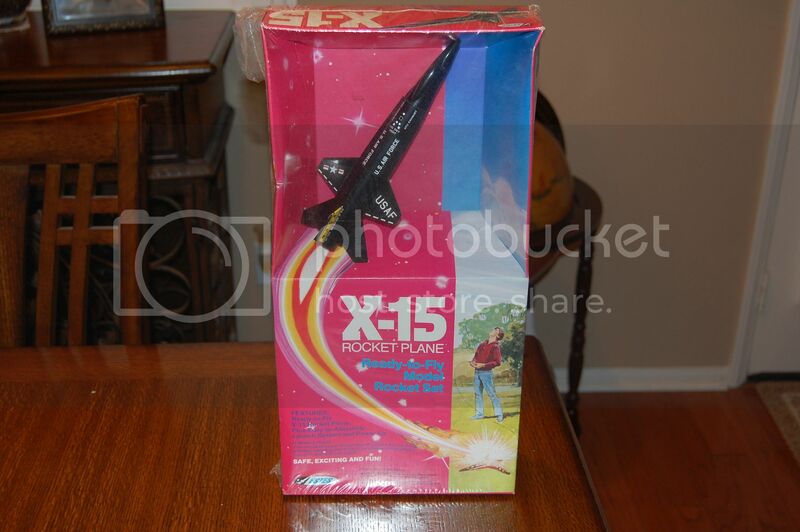 Here is an X-15 I just picked up still in the box. I don't know how many times Estes has released some version of the X-15 over the years but yours is most likely one of those recalled. If not, you're good to go but no decent RSO will allow a recalled rocket to fly at a NAR launch. And it's not a matter of whether or not it can be made safe, it's been recalled. If you decide to fly it, be careful packing the chute and wear a hard hat. Sigs30's find is model #1741, first seen in the 1988 catalog. I believe it uses the same X-15 model that was available in the 1970's. Last edited by tbzep : 06-26-2010 at 02:17 PM. The X-15 which was recalled is/was the relabeled Cox model. The X-15 Sigs30 bought is the early 1970's Estes version powered by 'T' motors. I used to fly mine all the time on A3-4T & A10-3T motors. Thanks for all the info....Was it still a good deal at 17 bucks? It was a steal, as usual for your finds. It came in the mail today in great shape. My Estes "Firing Line" X-15 (and Vampire) always flew perfectly for me; the Cox X-15...not so much--on its first flight, mine weathercocked into an almost-nonexistent breeze that wouldn't have fazed the Estes one, and it parachuted onto the roof of a warehouse across the field.